ST. JOHN’S HAS SOMETHING TO SMILE ABOUT! When you enroll in 'Amazon Smile', Amazon will donate 0.5% of the price of your eligible "AmazonSmile' purchases to a charitable organization of your choice. St. John's United Methodist Church - Ivyland is a participating group! 'AmazonSmile' is the same Amazon you know - same products, same prices and same service. This is an easy way to contribute to St. John's without any extra cost to you! St. John's United Methodist Church - Ivyland - as your preferred charitable organization. 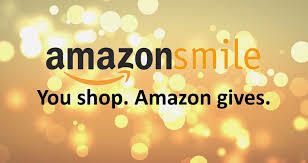 Simply log in to https://smile.amazon.com each time you shop and help make St. John's smile!